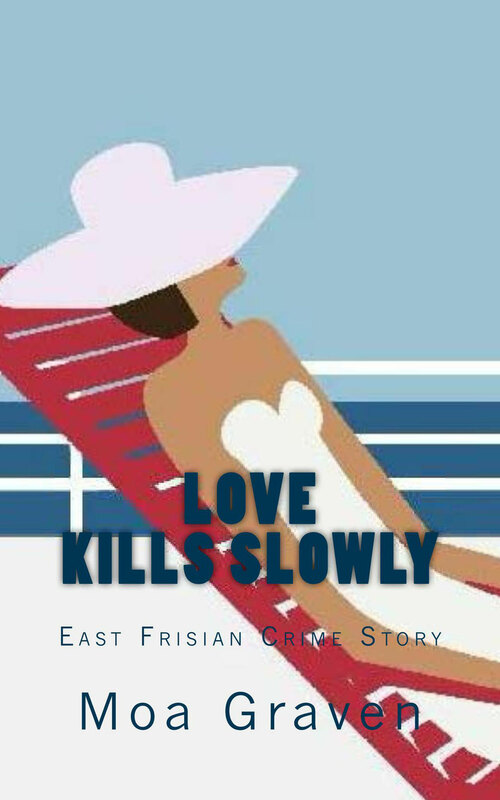 Love Kills slowly - written by Moa Graven East Frisian Crime Story Detective Eva Sturm has been relocated from her previous office in Brunswick, Lower Saxony to a little police station on the East Frisian island of Langeoog. Only half-heartedly looking forward to the new challenge, being in her late forties, she feels like she has been deported. The days are idly passing by, and she manages to settle in, and finally befriends Jürgen, who runs the local tourist office. Meanwhile, there is hardly any cause for criminal investigation, until, one faithful day, Eva stumbles upon a gold ring with a mysterious engraving. With Jürgen’s assistance, Eva tries to find the ring’s owner, who apparently is married to some Maren. Still, their quest runs into a stalemate. But then Eva gets mugged and the ring is stolen. Is there more behind this simple case of lost property? Maybe even murder? 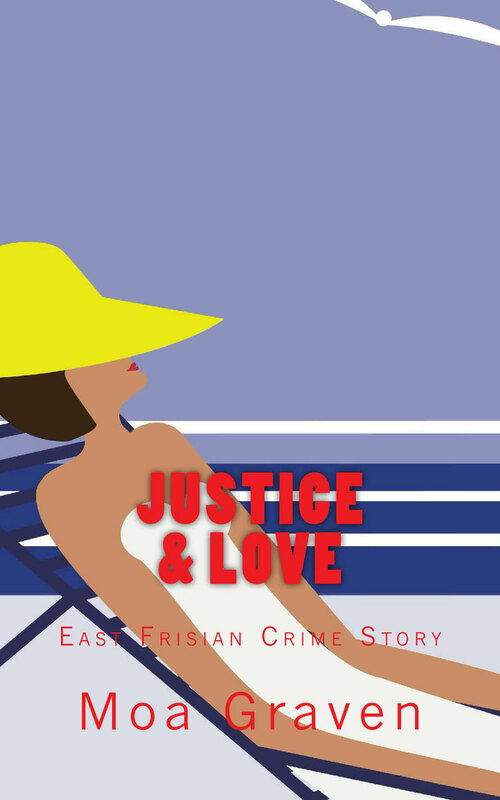 Eva Sturm investigates in her first case on Langeoog, which even leads her to a goldsmith in Cologne, while Jürgen loyally remains at her side. 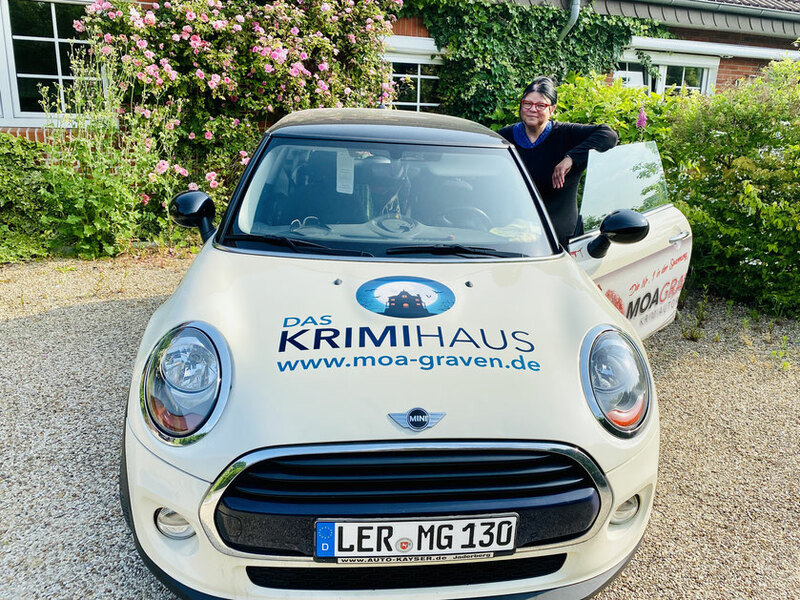 Übersetzt nach dem deutschen Ostfrieslandkrimi von Moa Graven mit dem Titel "Verliebt ... Verlobt ... Verdächtig"
Justice & Love by Moa Graven Englisch Version of "Justitas Schwäche" in the Eva Sturm Series on Island Langeoog Summer season on Langeoog is slowly approaching ist end. Eva Sturm already envisions herself spending long winter nights in front of the fire or at the little Italian place with Jürgen. But then the stamp club of East Frisia-Papenburg announces their arrival for a long weekend in October. And Jürgen of all people has gotten his hands on the supervision of this event and of course he instrumentalises Eva for his purposes. She is even supposed to deliver a speech during the gala dinner. Things start to heat up when a collector wants to deposit a stack of valuable stamps with her. And then, after the dinner, Dieter Wattjes from Moormerland is lying lifeless on his hotel bed. Is jealousy or greed the motive for the brutal murder? And what role does a lawyer from Loga play in this charade?